Mary Jo Peterson is a certified kitchen/bath designer and educator, and a certified aging in place specialist with specific expertise in universal design, addressing the needs of people of varying sizes and abilities, including people with disabilities and people who are aging. She focuses her Connecticut design practice on residential and commercial building projects in the New England region, and provides consulting support to major home builders nationwide, as well as the architects, developers, and product manufacturers that support them. Her builder clients have included US Home, Ryan Homes, Del Webb, Beazer, Cambridge Homes, and UDC, among others. Consulting with several building systems research consortia, such as IBACOS and CARB of the Building America Initiative, Ms. Peterson provides kitchen and bath design support, and contributes to educational efforts for builders, designers, and consumers. 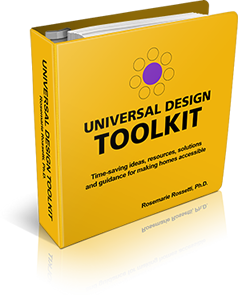 Author, speaker and teacher for the National Kitchen & Bath Association (NKBA), Mary Jo has just completed the update of two of the kitchen and bath reference books, incorporating universal design. She speaks and teaches frequently, including appearances on national television, addressing issues relating to kitchen, bath, and universal design. As an active member of the National Association of Home Builders (NAHB), she addresses these topics, and the active adult and aging in place market. Having served as a trustee in the 50+ Housing Council, Mary Jo has contributed to leadership and education. Membership involvement with the Remodelers Council includes contributing to and teaching the new Certified Aging in Place Specialist (CAPS) program. Mary Jo is a founding member of the national Home Modification Action Coalition, she serves on the Advisory Board for the Center for Universal Design, and she has done consulting work for the American Association for Retired Persons (AARP). Ms. Peterson's books on universal design, titled Universal Kitchen and Bathroom Planning, and Gracious Spaces are published by McGraw-Hill. 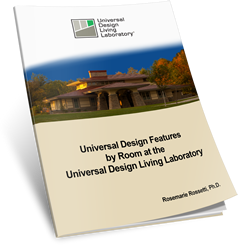 She has contributed to several other books on universal design along with the two new publications from NKBA. Author of the design column for Kitchen & Bath Design News, Mary Jo also contributes regularly to other trade and consumer shelter magazines. Mary Jo has worked with national builders and product manufacturers on staff training and design of spaces and products incorporating universal concepts. Her design work, particularly with GE Appliances, has won national recognition, including citations from the NAHB 50+ Housing Council, the NKBA, the National Endowment for the Arts and the Building Sciences Museum, and from AIA, Easter Seals, and Century 21 in the Easy Access Housing Awards for excellence in universal design. Currently serving on a number of cross-agency committees, Mary Jo works at integrating universal design into home and product design. This work has involved her with state and federal government agencies and advocacy groups, as well as professional organizations mentioned above. She actively promotes change and education towards universal design.